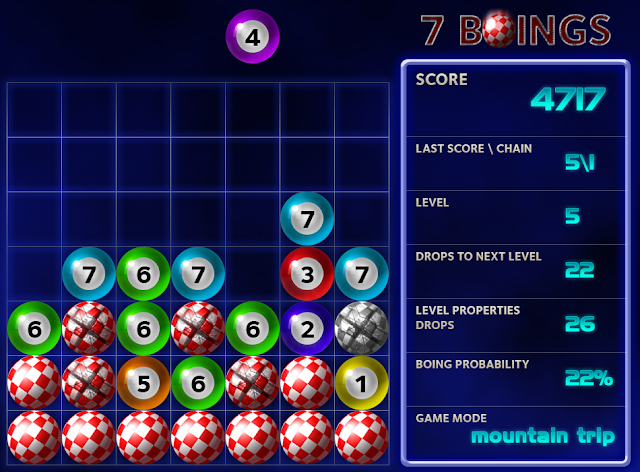 Today I am looking at a game called 7 Boings on my X1000, released this year by Mrdarek and available for download on os4depot.net. 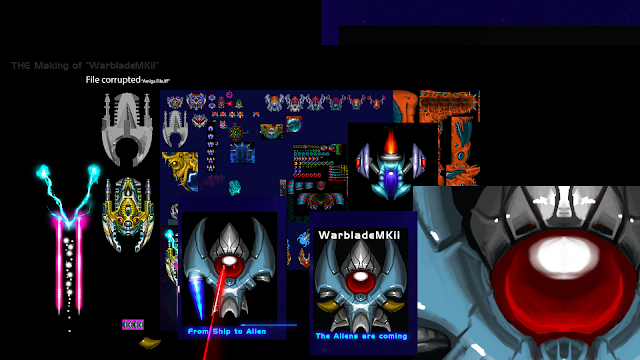 With the bounty in place, my aim was to update the blog more often -- preferably when I had some sort of update. However, my time has been lacking the last few weeks, and I haven't made as much progress as I wanted. But the bounty has surely made me more motivated -- your donations are much appreciated. In order to get some well needed progress, I've earmarked two "mellandagar" (i.e. the days between christmas and new year) to fully focus on Jamiga. I'm hoping nothing will interfere with these plans. This week saw the release of a new game for AmigaOS4 called Equilibrio. It is available from download on www.amigasoft.net and is written by DK Games. It was originally released as a game for the Nintendo Wii. I had never heard of the game before, so I was keen to try it out on my X1000. 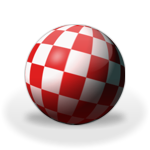 Overnight (30/11/2012) saw the release of AmigaOS4.1 Update 6 for the AmigaOne X1000 and other AmigaOS4.1 based hardware. Today I wanted to cover the installation process and changes in Update 6 focussing on AmiUpdate! AmigaOS 4.1 Update 6 has now been released. More details and a place for registered users to download the update can be found at Hyperion’s main web site. So what was done, the old event loop looked like this, the problem whit this code was that, the program did not wait for signals, it was busy looping due the clock that needed to be redrawn every 1secund, but I was not able to slow it down because that, will cause the events to be not read at correct time, there was a small delay of 0.1 sec in the loop. This is a concept for an Amiga Platform Game. Today I am looking at a new game called GEMZ for the X1000 under AmigaOS4. The game is written by Fabio Falcucci and Pascal Papara. It is also available on other platforms like AROS, MorphOS, Windows and Mac. It was written using the Hollywood development package. As it is written in the readme Excalibur was a a BlitzBasic program, typically for basic programs is that every thing is written in as one large source file, (not true for all modern basic programs). One thing I have done for every version of Excalibur is to split the code up, I will explain it. This week there was the new release of AmiCygnix 1.2 Base and Tools packages on os4depot.net. In addition there was also the release of the Audacious Music player for the new version of AmiCygnix 1.2! While trying to match 68k bsdsocket calls to x86 bsdsocket calls, I realized, how "old" our bsdsocket.library seems to be. Nearly every bsdsocket.library function is marked with texts like "THIS IS A DEPRECATED METHOD OF GETTING HOST NAMES" in modern man pages.. Nevertheless, there is progress :).